Straightener or brush? It’s both! 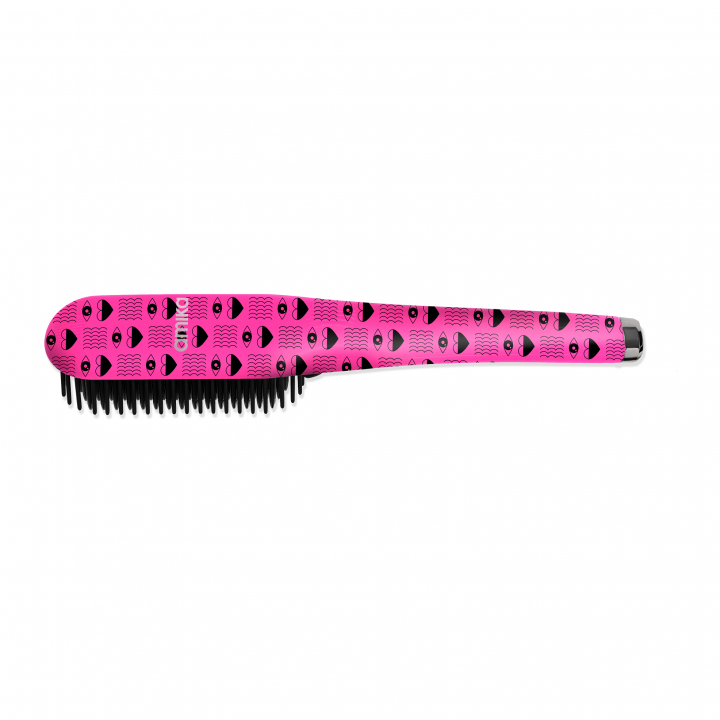 Effortlessly achieve sleek style with Flash Fix’s heated ceramic base and nylon-tipped bristles. Its ceramic technology emits negative ions and far-infrared heat that lock in moisture and deliver smooth, long-lasting results. Fusing the power of a straightener with the ease of a hairbrush, Flash Fix instantly creates smooth hair in a single stroke. Style your hair with a single stroke. Glide Flash Fix through a section of dry hair— as you would a paddle brush — to reveal a smooth, frizz-free style. To turn styler on, hold down the top silver button located above the silver + and – buttons. To lock temeparture, hold down both + and – buttons at the same time. To change the temperature press the + button to increase the temperature. Automatic shutoff: the styler will shut off automatically when left unuse after 60 minutes. This product comes with lifetime warranty.